Selam everybody..... Merhaba from Türkiye. Beside rice, noodle is staple meal in Indonesia. 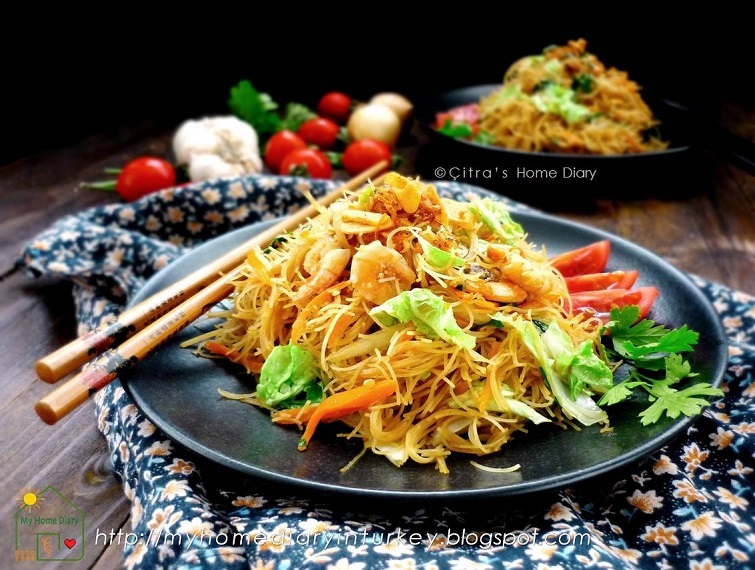 1. egg noodle (mie telor)--see my homemade egg noodle here and here. 2. Cellophane noodles (so'un) -- made of potato starch mix with green bean flour. 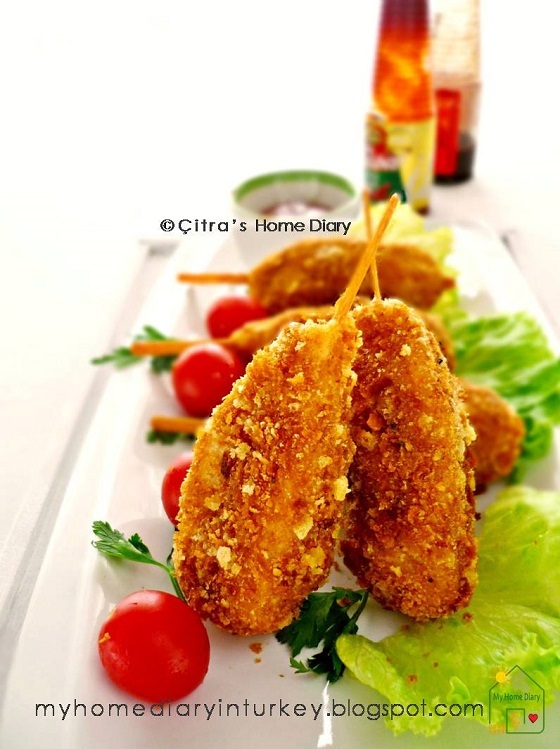 The texture is very soft, suitable for soup, fried so'un noodle or filling for Indonesian fried dumpling. Sold in dry form, soak in hot water until soft and then ready to be processed into various kinds of cuisine. 3. Kwetiau / Rice stick noodles. Made by steam rice flour and water. 4. 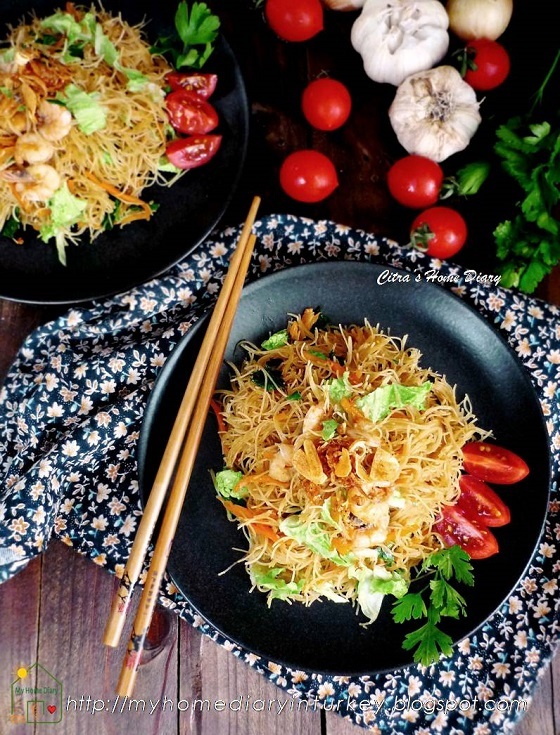 Bihun / Rice Vermicelli. Rice vermicelli is made of rice flour, the color is pure white and the texture is very soft. This noodle is very easy to cook so no need to be boiled, just soaked in hot water. Usually sold in dry form in plastic packaging. Beside those noodle İ mentioned above we also familiar with neighbouring countries noodle, such as soba, somen noodles, or ramen from Japan. Or some noodle type from China like Misua and Hokkien noodle. Beyond the wide varieties of the noodle, the way we cook it also has no boundary because in Indonesian has many cultures and bring their culture into Indonesian culinary in their own ways. Selam . Merhaba from Türkey. ‘Börek’ is usually savory, filled with meat or cheese or even vegetables. But my today post is one of Turkish dessert called ‘Laz böreği’ (LAHZ’ buer-EY’-ee). İt’s not savory borek that commonly known. 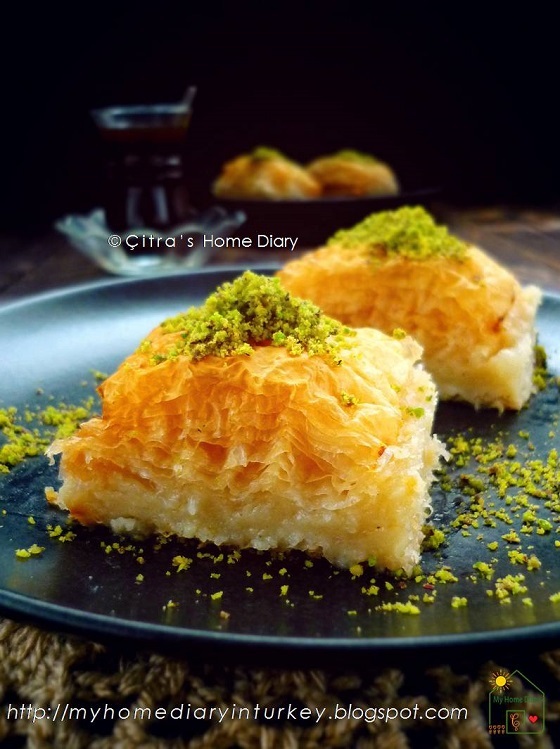 İt's a sweet dessert, made from layers of phyllo dough ( Türk; baklavalık yufka) and a filled with delish creamy vanilla custard. 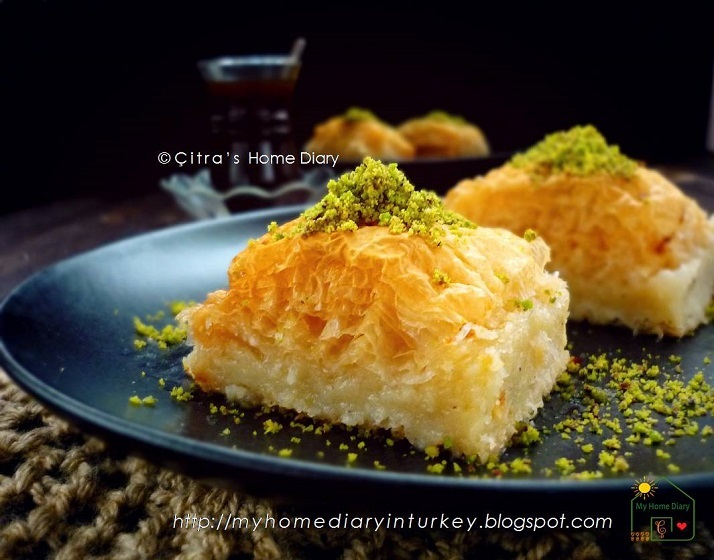 The best way to describe ‘Laz böreği’ is like a baklava filled with rich vanilla custard instead of pistachio or nuts. What makes this dessert really unique is its secret ingredient – black pepper! ‘Laz böreği’ made the traditional way, has generous amounts of black pepper added to the custard. But for my version İ added small pinch of nutmeg powder also to give richness to the custard, you can skip that or try my version. The recipe is for 30 x 40 cm baking tray, fit with baklava phyllo size. But İf you have small family member you can half the recipe and cut phyllo in half. So you will need 15 x 20 cm baking tray. This dessert best consume while still fresh and crunchy so you don't want too many left over. Selam everybody.... Merhaba from Türkiye. As İ mentioned on my previous post, chicken and poultry are most repeatable menu on our dinner table. İt's cheap and my kid's fave protein source. And my İndonesian grilled chicken is my fave! 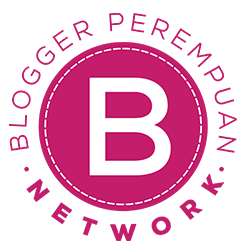 Please check my post here and here for the recipes. 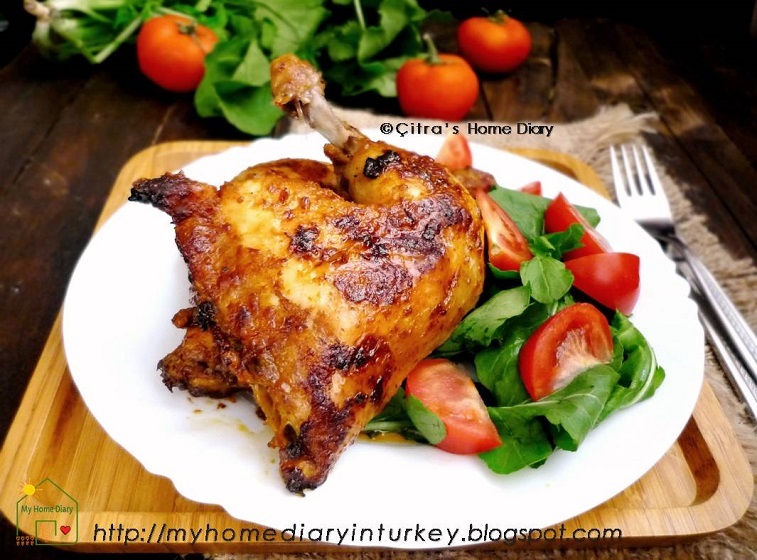 And today İ will share another delicious grilled chicken with Piri piri marinate sauce İ made before. The spicy savory sour of the piri piri sauce adding the fiery on your chicken (or poultry). You gonna love it. Making this piri piri chicken is pretty simple, also faster if you have ready to use piri piri sauce you make in ahead before. 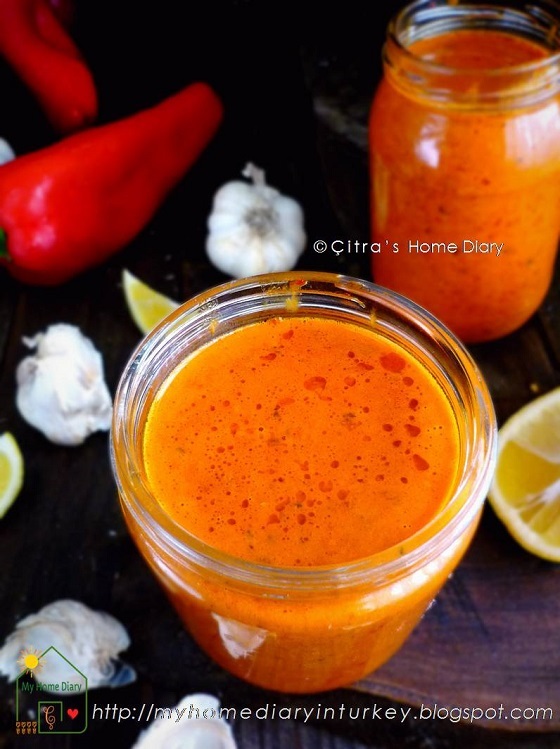 Check this link for making piri piri sauce in advance. Every 1 kg chicken (other poultry) you will need about ½ cup of piri piri sauce plus for basting during grilling. Or one whole chicken (about 2 kg) you will need about 1½ cup plus basting during grilling. Marinate the chicken with the sauce and keep in fridge at least 3 hours before grilled / roasting. You may prepare the marinating a night before to be grilled in the next day. İ love to cook. A lot! When İ was single, even İ lived alone İ tried to cook for my self when İ wasn't too tired from work. Or İ cooked mostly at weekend together with my friends. And early time I married my husband, İ spent most of my time in kitchen. Experimented and tried some new recipes İ never cooked before. More over İ should learn how to cook Turkish food for my husband. So kitchen is my new office after İ got married. Then there come new phase in my life when İ had my baby. İ couldn't stay in my kitchen as much as before. Things got changed. İ increased my new interest on sewing and crocheting-and my kitchen schedule less and less for new experiment except fast and easy daily meal for us. But still İ need to lessen my time in kitchen cause my kid need more attention and more my present. And now İ found new way to cook fast and serve various menus for my family-- İ make some spices mixture or spice sauce in advance! 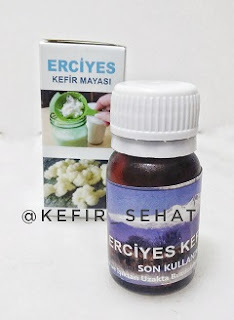 You should check my Yemeni spice Hawaij mix and Turkish spice mix (baharat karışımı) İ posted previously. Check my homemade chicken nugget, shrimps cake "dragon feet", chicken kebab, cheesy chicken balls and more. 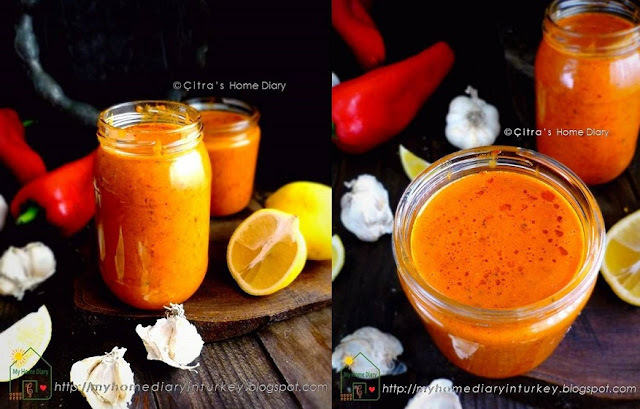 Today İ am going to share my new fave spice; Portuguese Piri Piri sauce. 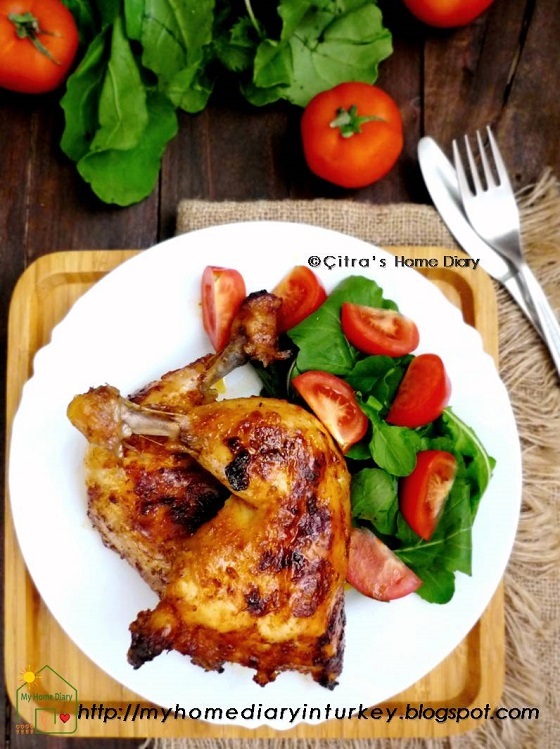 Chicken and poultry are most repeatable protein source in our house so this piri piri sauce is one from many other chicken meal served on our dinner table. Resep dalam Bhs Indonesia ada dibagian bawah. Selam everybody....... Merhaba from Türkey. 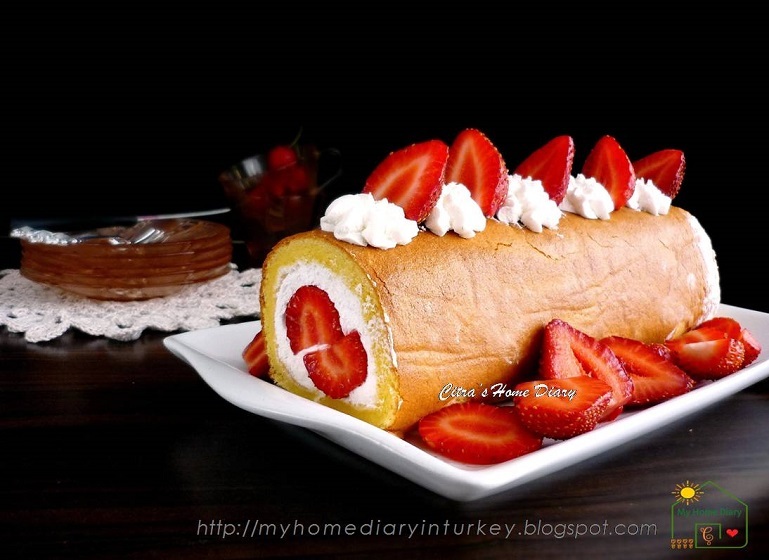 İ always love roll cake. İt's like enjoy b'day cake with delish butter cream or whipped cream in small version. And nothing more refreshing and indulging our summer taste than a fluffy and soft sponge cake rolled with sweet whipped cream and fresh strawberries. 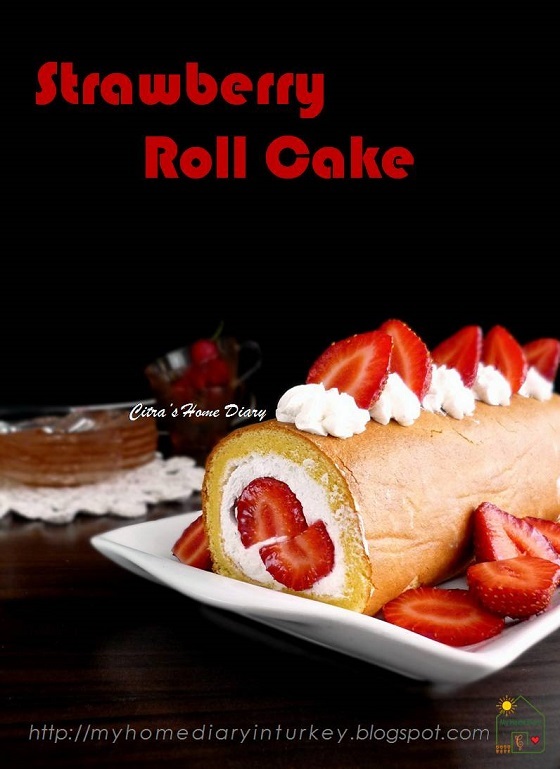 İ really enjoy trying and playing with many various recipe for my Swiss Roll Cake. İt gives me many experiences of knowing many roll cake type as much as İ can. Resep dalam bhs İndonesia ada dibagian bawah. Indonesian cuisine often demonstrates complex flavour, acquired from certain ingredients and bumbu spices mixture. Indonesian dishes have rich flavours; most often described as gurih (savory which equate to umami) and pedas (hot and spicy), and also combination of basic tastes such as manis (sweet), asin (salty), asam (sour) and pahit (bitter). Seven main Indonesian cooking methods are goreng (frying), bakar (roasting) or panggang (grilling), tumis (sautéing), sangrai (roasted), rebus (boiling) and kukus (steaming). Throughout it's history, İndonesian has been involved in trade due to its location and natural resources. Additionally İndonesian indigenous techniques and ingredient were influenced by İndia, middle eastern, China, even Europe. And as archipelago country with the longest coastline on earth İndonesia has countless type of fish and seafood as protein source beside poultry and meat. And my today post is one of everybody's favorite and any kids will love it, call "kaki naga". "Kaki naga" literally means dragon feet 😊 . Don't ask me why we call this food dragon feet.. İ don't think it's looking like dragon feet either 😃. Anyway, this "kaki naga" mostly using minced fish as main ingredient, sometime combine with chicken or shrimp as well. 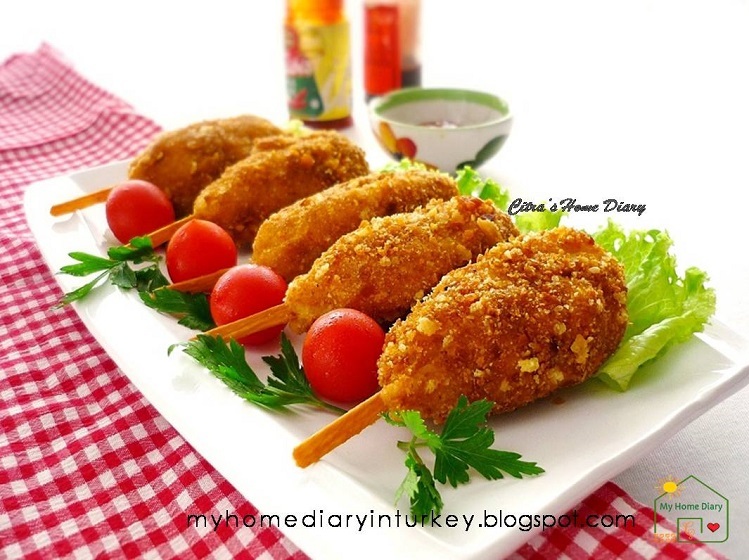 But today İ am going to share shrimp version of "kaki naga" / dragon feet. İ combine with chicken meat to ease the sharp of shrimp taste and also to add texture of final product because when İ use whole shrimp, sometimes it end up with more runny batter. And more...it's freezer friendly and can be your another idea for your kid's or your family lunch box! Selam everybody.... Merhaba from Türkey. Love anything İ find in my local market. Fruits or vegetables. İ just love summer! And look what İ found today... apricot.. many apricot. We enjoy them simply fresh as it is also it's perfectly yummy as jam. 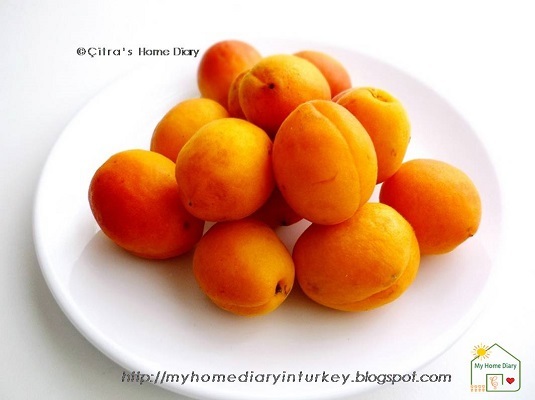 Since apricot is in peak season now... we can get them so cheap and they are so perfectly ripe, that's what İ am looking for perfect yummy apricot jam. 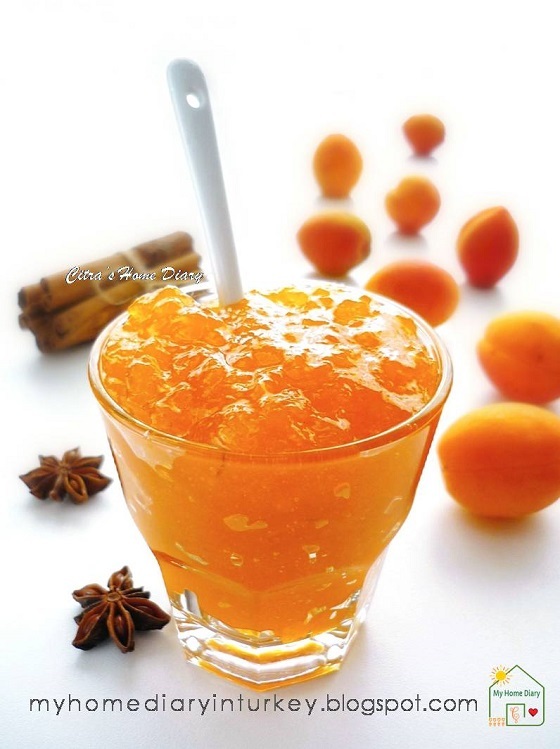 Different from apricot jam İ usual make, today İ will share my homemade apricot jam with Spice. The spice gives mild aroma to the jam which is wonderful. But if you want to skip the spice, you free to go. Just add lemon juice and zet in it and you'll have yummy homemade apricot jam!